When the Florida Panthers take the ice for the 2016 Stanley Cup Playoffs later this month, it will be a long time coming. It marks the fifth playoff appearance in team history but the first since 2011-12. There were other firsts established this season, including new franchise high for wins, a franchise record 12-game winning streak (Dec. 15 to Jan. 10), a franchise record four NHL All-Star Game representatives (Coach Gerard Gallant, Roberto Luongo, Jaromir Jagr and Aaron Ekblad) and five 50-point scorers (Jagr, Jussi Jokinen, Jonathan Huberdeau, Aleksander Barkov Jr. and Vincent Trocheck). A first Stanley Cup would be nice, too. Yet, thanks to the Panthers the Miami metro area is already a winner. The same can be said for the Tampa Bay Lightning, whose history does include tasting sweet victory (as well as defeat) from the Cup. The Lightning were champs in 2004 but lost in the 2015 Finals. 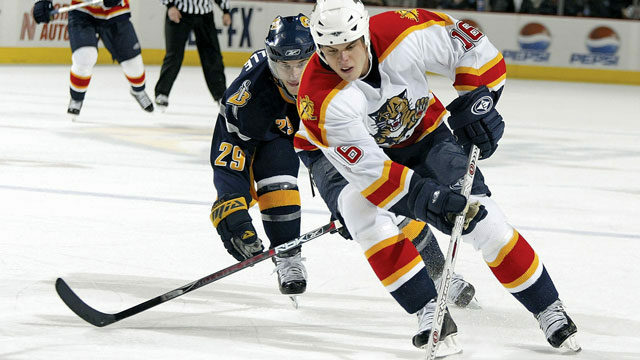 Like the Panthers, the Lightning will be a tough out once the playoff puck drops. Nonetheless, the playoffs also mean dollars, making Tampa Bay a bit richer. According to Moody’s Analytics in West Chester, Pa., the economic impact of hockey playoffs for the home team’s city is roughly $3 million per game through consumer spending. And with each team typically having at least two home games per playoff round, the dollars add up. The Stanley Cup playoffs consist of four rounds of best-of-seven series. So, cheer on the Florida home teams. Local officials certainly will — while also keeping an eye on the economic scoreboard. Down the stretch they went, Nyquist and Mohaymen nose to nose in the Xpressbet.com Florida Derby on April 2 at Gulfstream Park in Hallandale Beach. Then in a flash, one horse (and its ownership group) instantly became wealthier and more famous. Nyquist pulled away and won. The stakes now grow higher and richer. Nyquist was purchased at Gulfstream, making him eligible for a $1 million bonus by returning and winning the Florida Derby. Combine the $600,000 winning purse with the bonus, and that’s a cool $1.6 million payday. And it could be only a start. Undefeated, the horse is the early favorite for the Kentucky Derby May 7 at Churchill Downs in Louisville, the initial leg of the 2016 Triple Crown. Winner of the Kentucky Derby receives a guaranteed $1.24 million, sparking the Triple Crown Watch. For those counting, here are a few more numbers from Florida Derby Day at Gulfstream: Spectator wagering totaled a record $32,082,270 for the program’s 14 races, topping the 2015 tally of $27,255, 586. That $32 million-plus also was the highest amount ever handled at Gulfstream for races that weren’t part of the Breeders’ Cup. And, what if Nyquist (or another horse) makes a historic Triple Crown run? At 2014’s Belmont Stakes in New York with California Chrome making that fateful try, nearly $8 million was wagered at the track for that one race by the 102,000 spectators. Is horse racing big business? You bet. 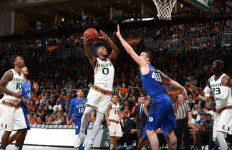 What do the Miami Hurricanes and Florida Gulf Coast Eagles have in common on the basketball court? More than one might think. Let’s replay a few of their highlights from the recent NCAA Men’s Basketball Championships. For starters, each made it to the Big Dance, as it’s popularly called. Each won a tournament game, with Miami winning two. And each lost to a team that appeared in the final game. The Hurricanes lost to the eventual champ, Villanova, and the Eagles were grounded by runner-up North Carolina. Now, here’s the not so obvious. While the Villanova Wildcats got their One Shining Moment, the two Florida teams scored big for their conferences. In terms of money, teams making the tournament earn a “unit” for their conference, and each subsequent win earns an additional unit for the conference, up until the Final Four when the formula changes. As a result, Miami earned three units and Florida Gulf Coast earned two. 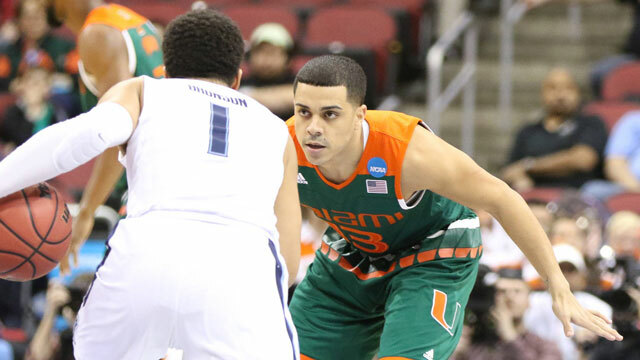 Miami’s point guard Angel Rodriguez faces off against a Villanova player. 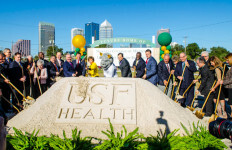 Photo Credit: University of Miami Athletics. In 2015, each unit was worth $1.67 million (payable across six years to the conferences of the participating tournament teams). In the scorebook, that’s more than $5 million to the Atlantic Coast Conference, courtesy of the Hurricanes this year, and roughly $3.3 million to the Atlantic Sun Conference by virtue of the Eagles (using 2015 unit values). The impact of the Eagles on their conference is particularly noteworthy. Two of the four teams participating in the Final Four were from the basketball-rich ACC. The Atlantic Sun, meanwhile, doesn’t often shine on the national stage — making the Eagles’ success a real triumph for the conference. 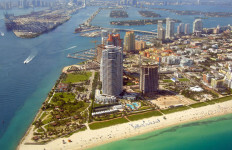 Photo Credit: Top image courtesy of the Greater Fort Lauderdale Convention & Visitors Bureau.